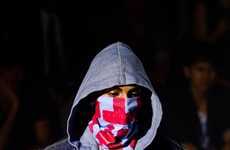 The Aitor Throup Autumn/Winter 2013/2014 collection pays homage to ancient and medieval armor. Showcased in a bold and unexpected way, this performance art piece-turned-runway presentation explores unconventional materials and combat-inspired styling. 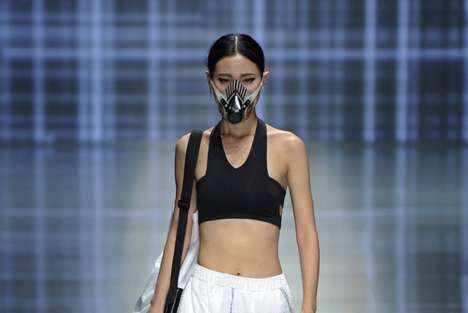 From masked headpieces and chain-link metal materials to gas mask resembling back packs, this dark and often morbid menswear line reinvents combat gear for a new generation of edgy fashion lovers. 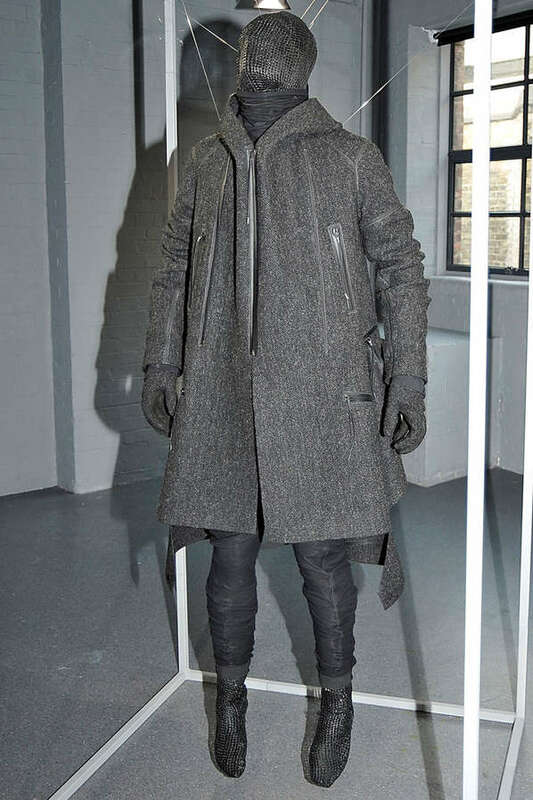 The Aitor Throup Autumn/Winter 2013/2014 collection mixes dark imagery with contemporary utilitarian silhouettes. 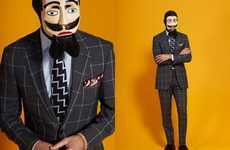 Opposing traditional style ideals, this combative collection is designed with purpose and wearability in mind. Though durable and versatile, this menswear line is not easy to pull off by anyone other than a daring fashion lover who is willing to take some serious style risks.